This veterinary hospital was in dire need of a website update. 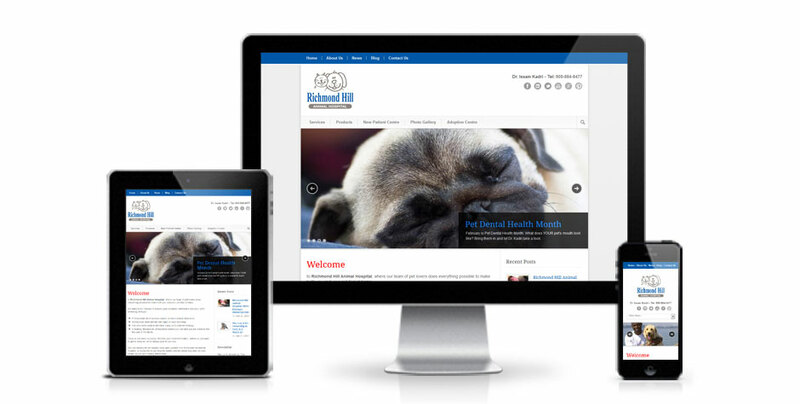 The resulting design uses a responsive design providing a great experience for customers whether they’re using a smartphone or their desktop. The site provides a plethora of information in an easy to digest manner enabling existing or potential customers to learn more about their services and expertise. 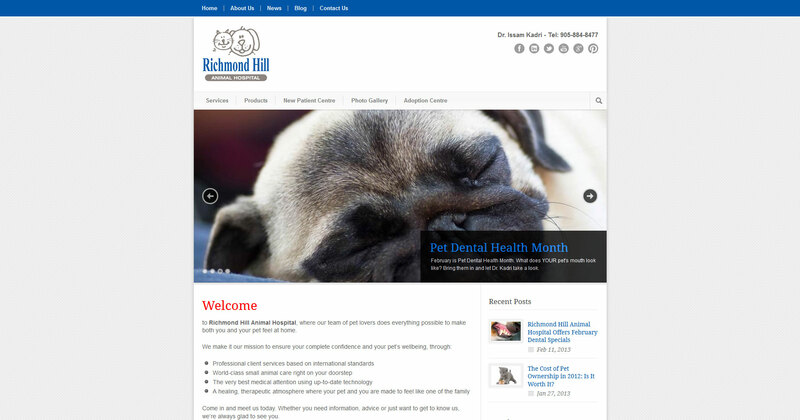 Adam H. Young created a new website from scratch for Richmond Hill Animal Hospital. He was able to take my rough diagrams and interpret them exactly as I needed. He worked closely with me every step of the way, patiently explaining the issues I didn’t understand and helping me to provide what was needed to make it work. The end result is a lovely, professional website that draws compliments from customers on a daily basis. Finally, the hospital is starting to get business from its online presence. Without Adam’s work this would not have been possible.